Guests booking between 1st and 6th September 2016 to receive fantastic upgrade offer on four stunning ships. Southampton, 30 August 2016: Oceania Cruises has made luxury Caribbean cruising even better value with the launch of an up to four-category upgrade promotion on selected sailings booked between the 1st and 6th September 2016. Sailings on board Marina, Riviera, Regatta and Insignia are included in the promotion and upgrades start with a Deluxe Ocean View Stateroom being automatically upgraded to a Veranda Stateroom; guests booking a Veranda Stateroom receiving a Concierge-Level Veranda; and those booking a Concierge-Level Veranda being able to enjoy a luxurious Penthouse Suite. 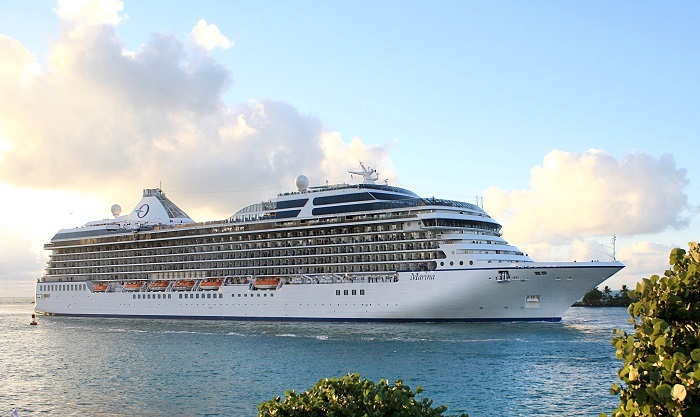 Oceania Cruises accommodation afford the ultimate in luxury. All suites and staterooms are among the largest at sea and are decorated with traditional hardwoods, rich fabrics, fine furnishings and original art. A highlight is the Prestige Tranquillity Bed featuring a mattress of 400 encapsulated springs, two inches of memory foam and a two-inch-thick, gel-filled “pillow top” cushion wrapped in chamomile-infused fibre, guaranteeing guests receive the best night’s sleep at sea. Accommodation offers increased amenities the higher the category guests book, including exclusive access to the Concierge Lounge for Concierge-Level Verandas and 24-hour butler service for Penthouse guests. The offer is applicable to 15 exotic Caribbean cruises visiting classic ports such as St John’s, Antigua; Castries, Saint Lucia; and Bridgetown, Barbados. It is also combinable with Oceania Cruises current OLife Choice promotion where guests receive free internet plus a choice of shipboard credit, free shore excursions or a free house beverage package. For more information about Oceania Cruises, guests should visit www.oceaniacruises.com, call 0345 505 1920 or contact a professional travel agent.